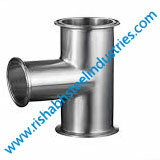 Rishabh Steel Industries has a unique product portfolio that is engineered as a durable piping component, which is a sustainable alternative with premium quality, contributing to a businesses growth. We offer our two cents on product selection too, guiding you through the plethora of resources and choosing the best for you. With us, you can be guaranteed for the finest customer experience. 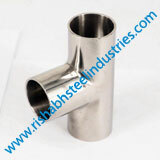 We are a manufacturer, supplier and exporter of Stainless Steel Dairy Bend, which are a part of our comprehensive range of Dairy fittings, available in exceptional quality Stainless Steel. 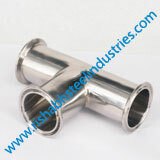 Our SS 304 / 304L Dairy Bends affix pipes and tubes in a dairy, used for media like milk, water, cleaning solutions, etc. We assure you that our SS 310 Dairy Bends are clean, reliable to use, economical and durable and available in a variety of wall thicknesses. Our Our SS 904L Dairy Equal Bends, also known as 'straight tees', require low maintenance, besides joining conduits of various sizes. Whereas, our 316L SS Dairy Unequal Bends are bacterial neutral, lightweight and available in different finishes., also known as 'straight tees', require low maintenance, besides joining conduits of various sizes. Whereas, our SS 316H Dairy Unequal Bends are bacterial neutral, lightweight and available in different finishes. In order to provide the variegated requirements of our esteemed clients, we are supplying and manufacturing an extensive range of 304 Stainless Steel Dairy Bend. This product is mostly acknowledged by our customers for its easy installation and sturdiness. Following are some of the best features of this product, such as excellent corrosion resistance, high strength, minimum maintenance, and more. 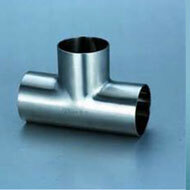 In line with industry standard, we provide this SS Dairy Bend in various customized options and at affordable prices. Our ranges of products are light in weight and accurate in dimension. For meeting most clients' satisfaction, we have reasonably priced our deluxe quality Stainless Steel 304L Dairy Bend without compromising with their quality. 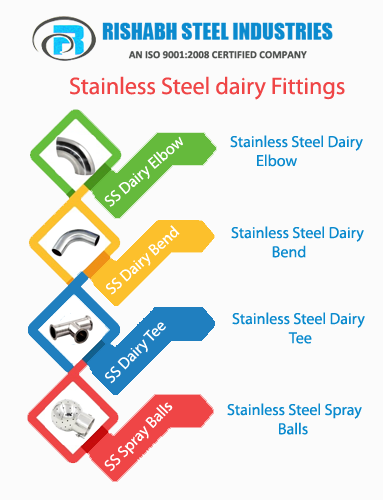 What is a Stainless Steel Dairy Bend ? 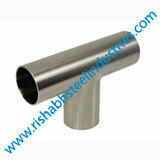 Are you Looking for Stainless Steel dairy Bend Manufacturer? 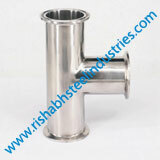 SS Dairy Bend which are a part of our comprehensive range of Dairy fittings, available in premium quality Stainless Steel. Our Stainless Steel Dairy Bends affix pipes and tubes in a dairy, used for media like milk, water, cleaning solutions, etc. We assure you that are SS 304 Dairy Bends are hygienic, safe to use and contamination free, these tees are resistant to atmospheric corrosion. Our SS 316 Dairy 90° Bends are suitable to convey fluids through a right-angled bend allowing smooth flow. Whereas, our SS 316L Dairy 45° Bends are bacterial neutral, healthy enough to be used in conveying milk without mixing it with harmful pathogens. 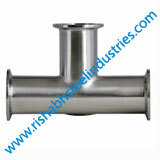 We Manufacture a wide range of Stainless Steel Dairy Bend, SS Dairy Bend Exporter in India, Stainless Steel Dairy Bend, Dairy Bend, 304 SS Dairy Bend, Stainless Steel Dairy Bends, 304L SS Dairy Bend, SS 310 Dairy Bend, 310S Stainless Steel Dairy Bend, SS Dairy Bend, 316 SS Dairy Bends Stockholder, SS Dairy Bend Dealers, Stainless Steel Dairy Bend Distributors, 316L Stainless Steel Dairy Bend in Saudi Arabia, 317 SS Dairy Bend Suppliers, SS 317L Dairy Bend Exporter in Qatar, SS Dairy Bend Stockist, Steel 321 Dairy Bend in United States, Stainless Steel Dairy Bend in Malaysia, 321H SS Dairy Bend Suppliers, Manufacturer of Comprehensive Range 347 Stainless Steel Dairy Bend, Stainless Steel Dairy Bend in UAE, Stainless Steel 904L Dairy Bend, SS Dairy Bends are Available in Different Dimensions and Specifications. 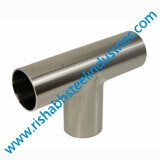 We are Leading Manufacturer of Stainless Steel Dairy Bends in INDIA. End of Stainless Steel Dairy Bend protected by plastic Strip. 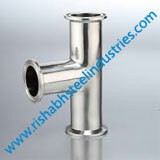 A Wide Range Of the Best Quality Stainless Steel Dairy Bend, ss Dairy Bend price list, ss Dairy Bend price, ss Dairy Bend dimensions pdf, SS Dairy Bend, SS Dairy Bend Manufacturer, Supplier in India. We are renowned & most acclaimed Source, Stock, Distribution, Manufacturer, Suppliers, Stockholder, Traders, Wholesaler, Dealer, Distributor, Importer & Exporter, Fabricator, Stockist of Dairy Bend in Stainless Steel.